Planning a wedding is not a child’s play. When you start listing out, that’s when you know the vastness of a wedding. However, with the many professional wedding planners around, you can relax and plan a bit more on the more personal things you would want for yourself from the wedding. One of the main is the photo outtakes. 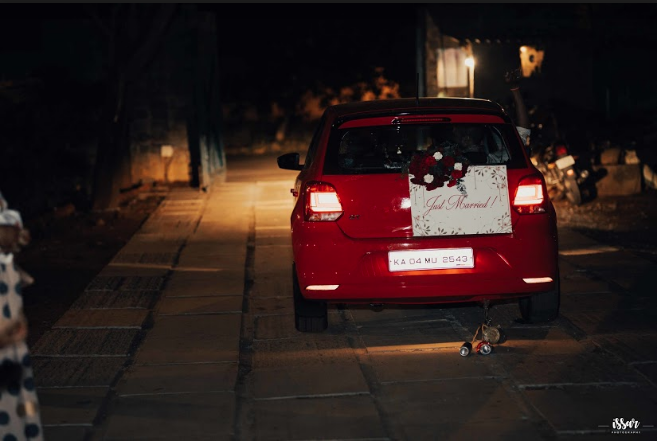 Yes, at the end of the day, what remains of a stunning wedding are the pictures clicked and so, one must not miss out on each and every moment that should be captured in a wedding. Sure, a save-the-date image overlaid on a blurred picture of the both of you is a fail proof way to announce that the wedding bells are ringing, but how about you doing it differently? A solitary shot of your beautiful bridal wear against the theme background of your wedding will be a fresh change from the usual way. 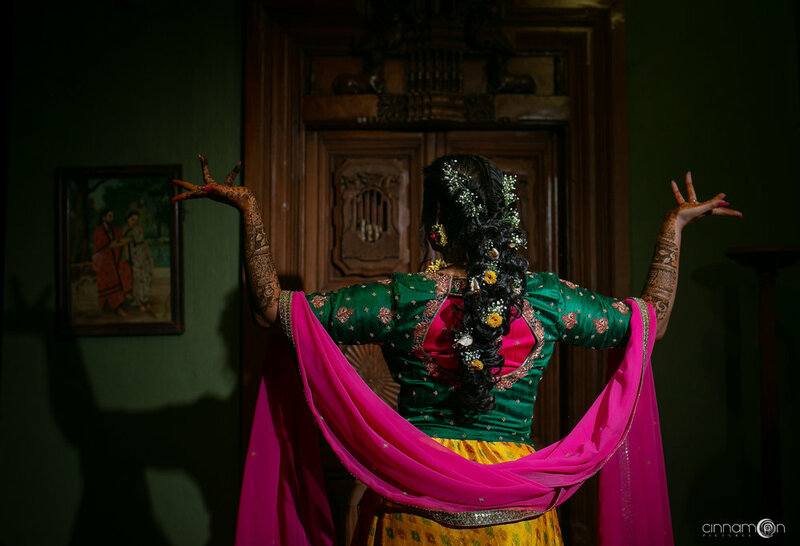 While that is one purpose, another is that you may never wear your wedding lehenga again, probably passing it on to the next generation as an heirloom, thereby making having an unscathed shot of your bridal wear a must have in your wedding album! As filmy as that sounds, Solah Shringar is a traditional wedding ritual which literally translates to ‘sixteen adornments’. 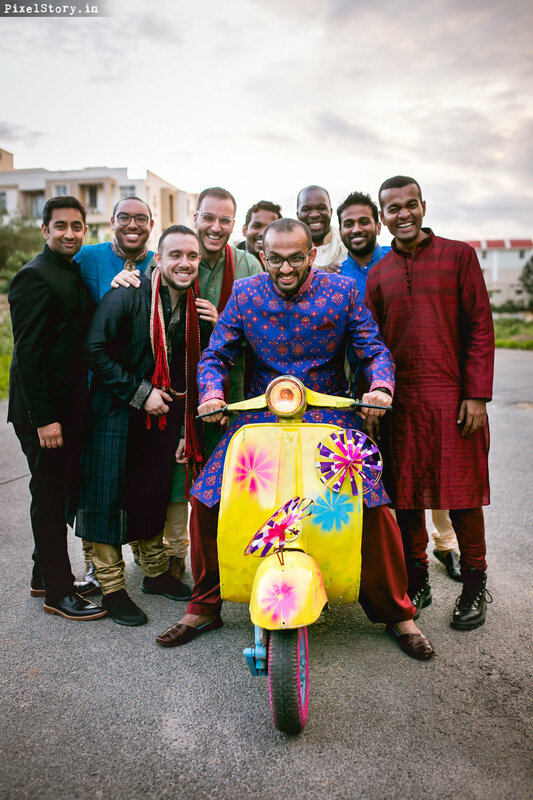 While a lot of us may not completely adorn the sixteen elements, we more or less use more than half of it during a Hindu wedding. A shot of your kohl laden eyes, the bindi with the maang tikaa shot, hair accessory shot, etc, are some of the shots that needs to be taken of the bride for her wedding album. It is but a collective outcome of putting together a look with all these minute elements. One of the most important pictures that a photographer can click during a wedding is the many moods and emotions. There is no denying that every bride goes through multiple rehearsal sessions before finalizing on the D-day final look, however, when the day arrives, the feels are completely different. It is the many moods of the bride that we get to see when she is on her way to transformation to being the bride, and to capture those moods is considered half the work done! When the bride goes through all the trouble to achieve the D-Day look, it is almost mandatory to get pictures of the process clicked. The hands, they say it all. The alta or mehendi, the bangles and rings, the nail paint and the fiddling, while you can try your best and hide it all behind that blushing smile, your hands will always give out the fact that on that day, at that moment, you were one in a million! You could either opt for a dainty pose, or go all out and let your hands do the talking! 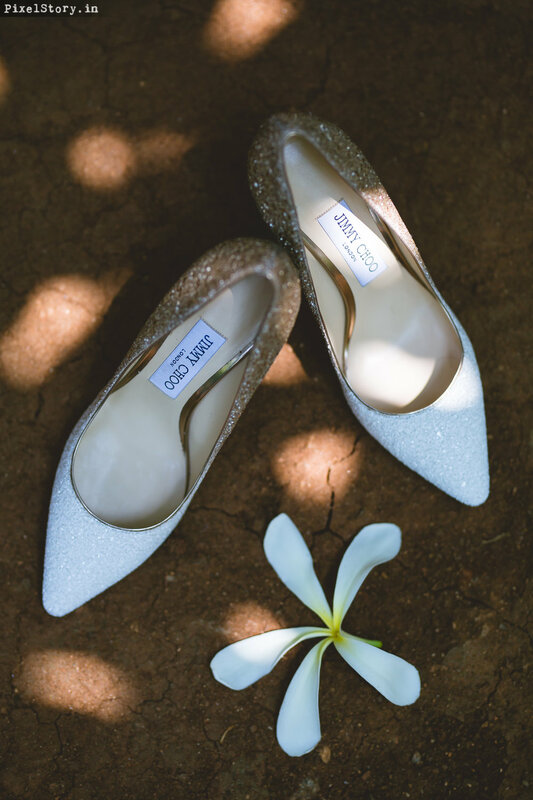 A cinderella-like glass slipper fitted onto an intrinsically designed henna laden feet with freshly coloured toe nails and an anklet or payal, it would be heartbreaking to not freeze such a stunning visual, right? Weddings are those times in one’s life where the whole family comes together to celebrate. Sure we all have that one annoying uncle or aunt, and a “I-know-it-all” cousin whom we may not fancy the most, but hey! This is your day! Click a few pics with your loved ones, the friends who have turned into family and the family you can share your deepest secrets with! After all, getting all under one frame again with you being the director (the most important point) may not happen again. Haldi is by far one of the most informal ritual of an Indian wedding. No doubt it starts very formally but then it ends with a beautiful mess. That’s right, it’s a beautiful mess, and there is no denying that one should get themselves clicked during their haldi ceremony to someday look back on and think of those split second craziness! 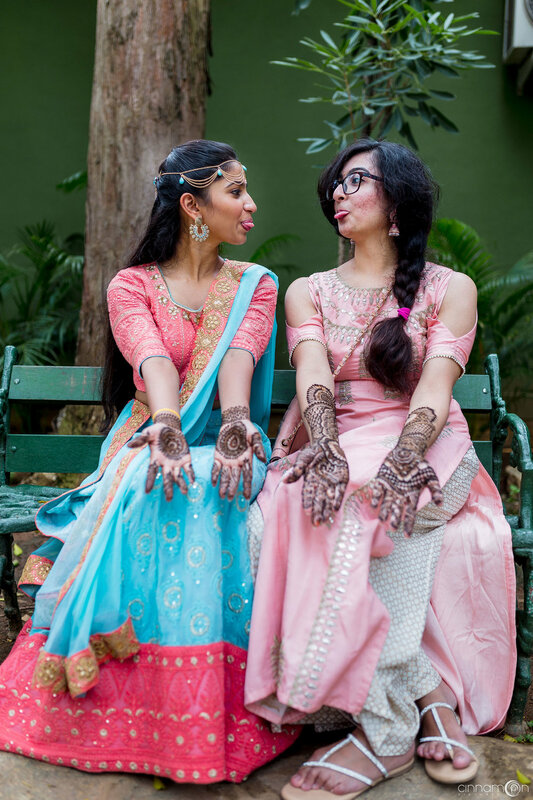 It’s the mehendi ceremony that truly marks the setting of the wedding mood. It is all music and laughter and games and dance and good food. The many designs of beautiful henna mehendi can be confusing, you getting dolled up with 2 or 4 artists applying your mehendi, your best friend helping you sip on water while your mom feeding you food, there is a maddening chaos in front of you and that fruitful feeling of it all coming true! Yes, there is no denying you have to get these moments captured! 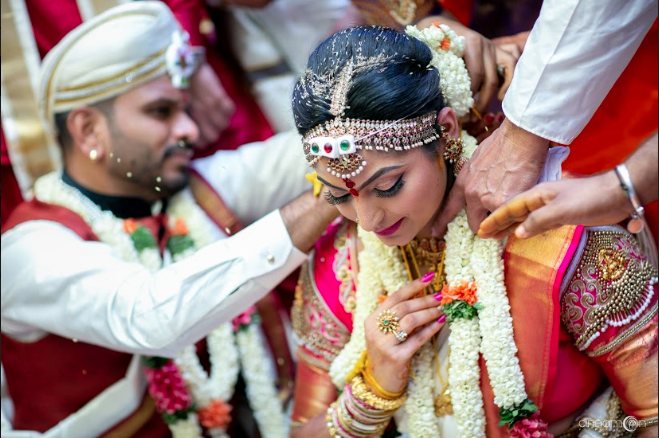 From Miss to Mrs is a few hours away from this moment of you walking into your mandap, where your man is waiting for you eagerly to make you his companion for life. Be it in a doli or palki, or being walked down by the brothers under a chaadar, or even a rockstar entry to a song or riding a bike, this is the one moment one should not miss clicking. Oh, not to forget, the many reactions of the people around, especially the groom on seeing his beautiful bride. Don’t worry about the mascara streaked eyes. It’s this same photo which will make you smile at the memories of the times gone by. This list isn’t exhaustive of course. You could drop a few and add a few of your own, or trust your photographer with making the best out of your big day. However, a quick chat with the person who will be freezing your beautiful moments won't harm, and go a long way for you and your family.